Work on a new bus link to Derriford Hospital will begin in spring 2019. 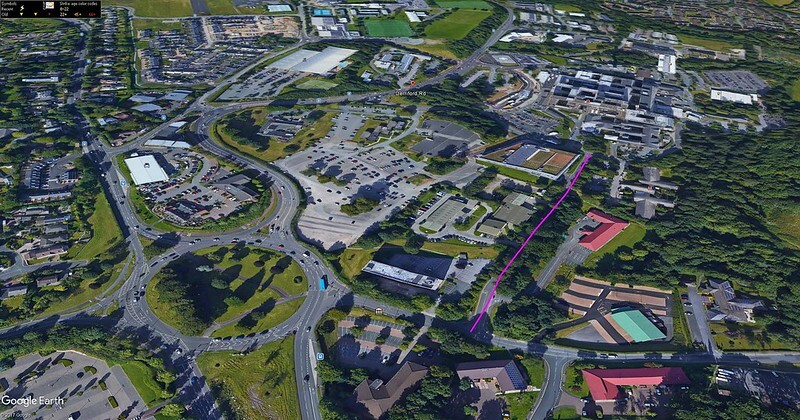 The Morlaix Drive Access Improvement and Bus Priority Scheme will widen Morlaix Drive between Brest Road and the hospital to provide improved access for public transport, pedestrians and cyclists. Funding for the £4.7 million project will be part-funded by £3.3 million awarded to the council by the Department for Transport in October. Councillor Patrick Nicholson, Deputy Leader and Cabinet Member for Strategic Transport and Planning, said: “This scheme is a critical piece of the public transport network and part of a package of transport infrastructure improvements aimed at increasing connectivity in the north of the city, particularly by more sustainable means of travel. Complementing the larger Derriford Transport Scheme, the improvements will enable buses to serve Derriford Hospital and the upgraded bus interchange area at the front of the hospital without using Derriford roundabout and Derriford Road. This will support improved reliability of buses in the area and provide benefits for traffic using Tavistock Road. It will also maximise the benefits of the recent Marjon Link Road bus link. Scheme designs are currently being worked up and public consultation will take place later in the year before final designs are agreed. Work is expected to begin in spring 2019. This decision has been made under delegated authority and is subject to call in by scrutiny. 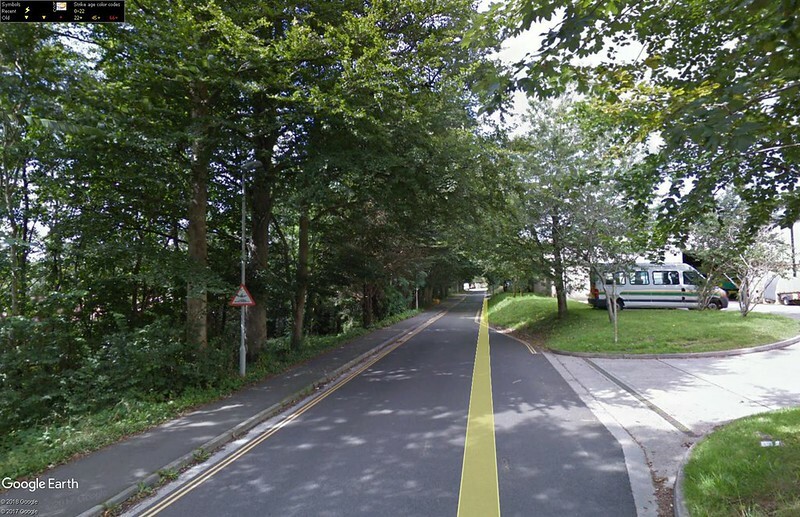 The Google Street view image above illustrates one of the big issues with this road currently - there is a very narrow bit which does not allow two way traffic and its right outside the ambulance station too! Drainage is also very poor along this road so its not a pleasant walk when its wet. As a short cut out from the hospital for buses this will save a lot of time and perhaps more importantly be great for me as I work down at the end of this road - hopefully will save me a walk from the hospital each day! really hope tihs can be done asap it'd make such a difference! buses have immense value around the Derriford area and are heavily promoted so anything to improve their punctuality has to be a good thing.